In January of 2019 I made a painting I call Happy Valley. It’s 6 by 8 inches, and made with acrylic paint on watercolor paper. It now lives in a private collection in New York. 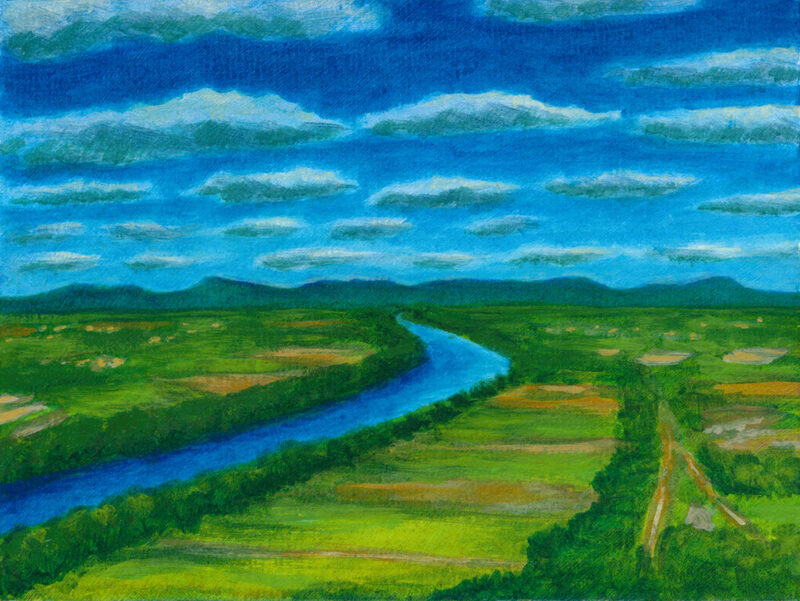 “Happy Valley” is a pet name for the Pioneer Valley region of Western Massachusetts, which is a wonderful place to live.